If the user has the facebook account, signup else create a new account and just conneted to your friends. Select the search bar which is located just aside the logo in facebook homepage. To find your friends, just enter the location in the search bar. At top left corner of the search page, there will be list of options like Groups, Pages, Events, Applications, and People. In this, click on people option which take you a new page and allows you for easier search such as location, workplace and school. Without the help of search bar it is easier to search by location. Just click on the location filter and type. Facebook will provide a pop down menu by which you can select the location. After typing the location in the location filter next press enter the control will automatically go to the school filter. To skip this filter, just click on refine search and wait for few seconds the facebook will provide the list of people who have registered to it. It gives approximately 500 pages of option; you can select your person with the help of pictures and names. Apart from searching if you forgotten any of your friends name, facebook will be helpful to search your person by location. However, searching process may take few seconds to find the result but to reconnect with the friends time spent is more important? Although, apart from people and location, there are more opportunities to look not only for friends but also for other committee and groups which you would like to join. From above all, totally facebook provides a way to shares your ideas, thoughts with the people on your friends list. This is the place which used to gain the knowledge about your friends. 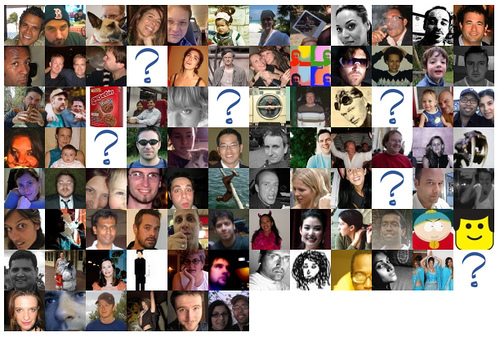 Even though facebook is more user interactive, it is not so good to say it is the most suitable social networking site. Facebook makes real time sharing and conversation with your friends and your lovable once. So, make much useful of it and be reconnect with your old pals!! !